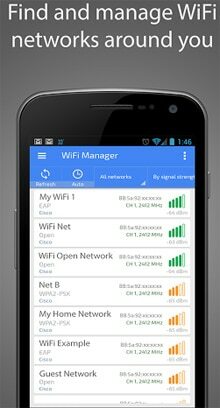 WiFi Manager & Analyzer is a FREE Android app that can help find, connect and manage your WiFi connections around you. With this application you can also monitor WiFi connections, find best channels, check connection details and use tools like ping, dig and OUI lookup. 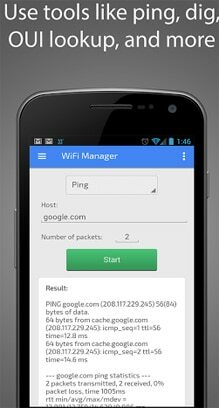 – Find, connect and manage WiFi networks around you. – Find the best WiFi channels. – Measure your WiFi signal strength.